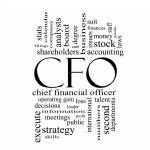 Today’s CFO is really a CFOO … a Chief Financial Operations Officer. And it has been that way for at least the past 5 years. There is no going back. The CFO is now the CFOO and in some cases, the CEO … Chief Everything Officer. Maybe it would be a tad more accurate to say that today’s CFO position demands a deep knowledge of operations and how numbers interact with operations to drive profitability. I don’t believe there is anything concealed about that fact. I agree. However, it also seems to me that a strategic CFO is in a much better position to do that than a COO, even with a strong controller in place. My focus, though, is how the CFO evolution impacts a finance leader’s market positioning. Pure number crunchers are rapidly going the way of the dinosaur. Articulating value as a finance executive with a track record of both visioning and executing initiatives that positively impact operations is imperative within a competitive market. That imperative is even more so when there are a limited number of positions available at the top. Believing that “if you just got the chance to talk with a prospective company, you could close the deal” is understandable. My clients are always very accomplished. However, without strong marketable value positioning that gets you noticed, those chances may be significantly diminished. – Does your resume contain more than duties and responsibilities? It must demonstrate your ability to take your financial and operational expertise and execute corporate initiatives. – Does your digital footprint convey your compelling value messaging? Being a wallflower or using your Linkedin profile as a placeholder can significantly reduce your ability to get noticed by a company who needs what you do and would be willing to pay, and pay well, to get it. – Does your network know and understand how you solve problems over and above the responsibilities you held and duties you performed? It is always about how you have stepped into a problematic situation, resolved the issue, and delivered a tangible impact as proof that you can solve the kinds of problems a prospective company is having. Without solid operational finance messaging, perhaps there could be some truth to the author’s statement that the CFO may become a relic of the past. If you are a CFOO who wants some help identifying your compelling value messaging – whether that is in your resume, your digital footprint, and/or among your network – give me a call! This entry was posted in CFO Careers, Current Affairs, Digital Footprint, Networking, Resumes and tagged CFO, Chief Financial Officer, digital footprint, LinkedIN, networking, recruiters, resume. Bookmark the permalink.